– Attendance at the 6:30AM precepts session is required to participate. Precepts are special vows of moral discipline that are observed for one day. Please see below for more information. – Participating in this retreat requires fasting for one day, which means abstaining from all meals except lunch on this day. A vegetarian-friendly lunch will be provided. – We recommend bringing a yoga mat and towel with you to the retreat. – Space is very limited. Please RSVP to reserve a place. On this special day we will celebrate Buddha’s Enlightenment Day. This marks the occasion when Buddha Shakyamuni showed the manner of accomplishing the ultimate goal of living beings – the attainment of enlightenment – at Bodh Gaya, India in 589 BC. With this auspicious deed he demonstrated how each of us can overcome all internal and external obstacles and hindrances and become an enlightened person. To celebrate this special day, we will engage in a one-day Nyungne Retreat. 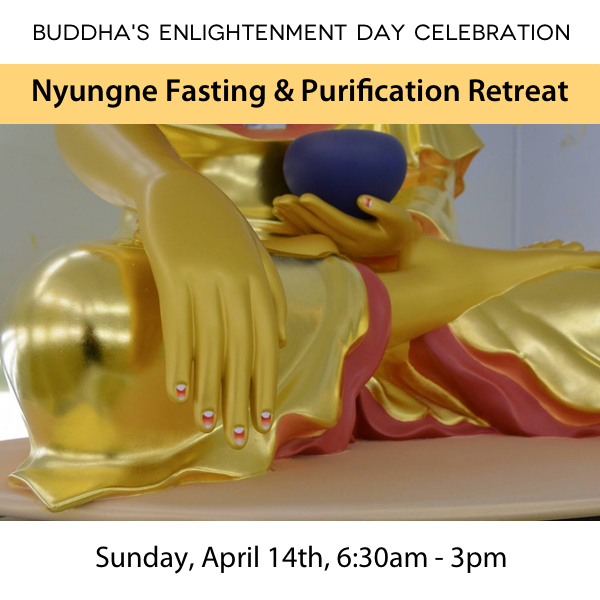 Nyungne Retreat is a special fasting and purification practice performed in conjunction with prostrations and prayers to Thousand-armed Avalokiteshvara, the Buddha of Compassion. This is a very powerful method for purifying negativity of body, speech, and mind, and for pacifying strong delusions such as desirous attachment and hatred. It is also a special way of receiving blessings and for improving our minds of love, compassion, and bodhichitta. 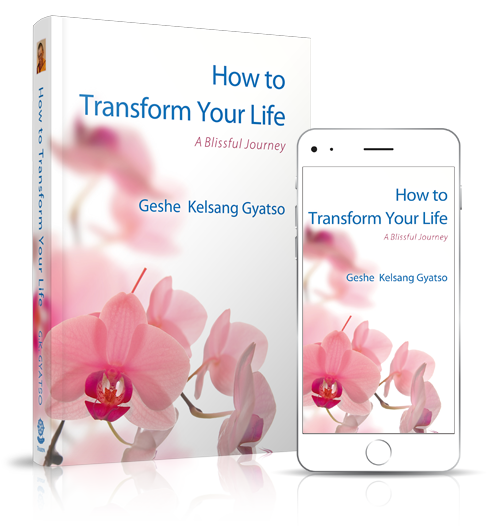 This practice is done annually at Kadampa Buddhist centers throughout the world to celebrate Buddha’s Enlightenment Day. The practice of taking and keeping the eight Mahayana precepts is a special practice of moral discipline that is performed with bodhichitta intention, the compassionate wish to attain enlightenment for the benefit of all beings. The essence of this practice is taking eight precepts and keeping them purely for twenty-four hours. When we take precepts, we explicitly promise to abstain for twenty-four hours from eight actions which include: (1) killing; (2) stealing; (3) sexual activity; (4) lying; (5) taking intoxicants; (6) eating after lunch (meaning we only eat lunch); (7) sitting on high or luxurious thrones or seats; (8) wearing ornaments, perfume, singing & dancing. Because this practice is motivated by bodhichitta it is especially powerful for purifying negativities, accumulating merit, and creating the cause for us to attain the unsurpassed happiness of enlightenment. If you have any questions about this retreat, please contact us at info@meditationinmiami.org.